An oasis of sorts in the semi-arid region of western Colorado, Rifle Falls is made of three waterfalls and this is a view from behind the cascade furthest left. 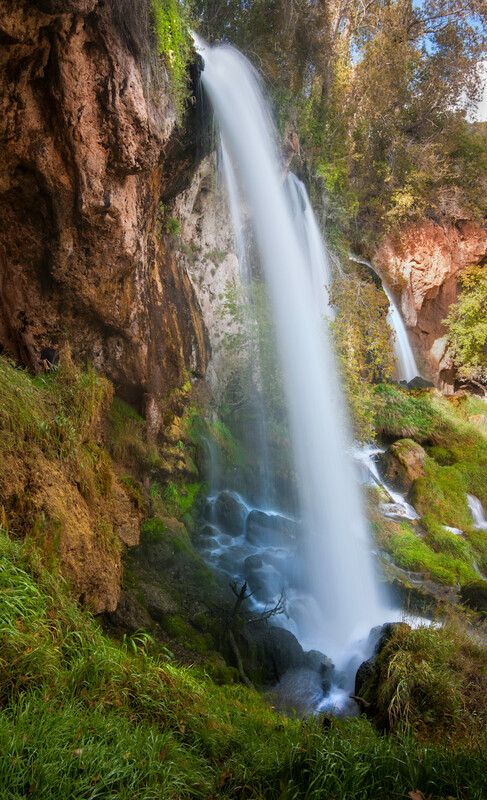 The three part waterfall is an uncommon feature, and presents an impressive, almost tropical scene, as the waters tumble down on a boulder-filled area with pools, cascades and lush greenery, plus patches of more colorful red and yellow plants. Suggested media: This scene will look amazing on any of the media I offer.